Fifty years ago today, one of the twentieth century's finest mathematicians died. Erwin Schrödinger was one of those rare mathematicians responsible for a concept that many non-mathematically minded people will know of and refer to: Schrödinger's Cat. He is also famed for a number of important contributions to physics, especially the Schrödinger Equation, for which he received the Nobel Prize in Physics in 1933. In 1887 Schrödinger was born in Vienna, Austria to Rudolf Schrödinger, a botanist and Georgine Emilia Brenda, the daughter of Alexander Bauer, a Professor of Chemistry. His family home was prosperous and well-educated and he grew up in an academic environment. Living in Austria, but having a half-English mother, meant that Schrödinger grew up bilingually - he learned both English and German. During the 1920s, Schrödinger made a name for himself at various European universities. 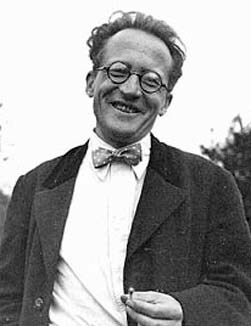 While at the University of Zürich, in January 1926, Schrödinger published the paper "Quantisierung als Eigenwertproblem" or "Quantization as an Eigenvalue Problem" on wave mechanics and what is now known as the Schrödinger Equation. 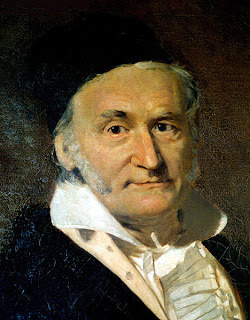 In this paper he gave a "derivation" of his famous wave equation, and showed that it predicted correct energy levels for hydrogen atoms. This paper has been universally celebrated as one of the most important achievements of the twentieth century. Along with three follow-up papers, it was the greatest achievements of Schrödinger's academic career. The collection of papers created a revolution in the new field of quantum mechanics, and shook the worlds of physics and chemistry. For the first time, the quantum structure of the atom was understood and mathematically described. Although the Schrödinger Equation is probably his finest achievement, his most well-known legacy must be his cat. So, what is Schrödinger's Cat and why is the idea so well-known? This paradox presents a cat that might be alive or dead, depending on a random event. The cat, along with a flask containing a poison and a radioactive source, are all contained inside a sealed box. If an internal Geiger counter detects radiation, the flask is shattered, releasing the poison that kills the cat. The Copenhagen interpretation of quantum mechanics implies that after a while, the cat is both alive and dead, simultaneously. Yet, when we look in the box, of course, we see the cat either alive or dead, not both alive and dead. So it is only when observed, by an external observer, that the cat ceases to be in both states at once. In the course of developing this experiment, he coined the term Verschränkung (entanglement). 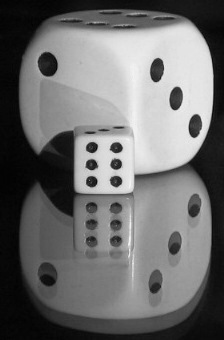 The idea of an object being in two states at the same time (especially dead and alive) was so new and counter-intuitive to science that many scientists and mathematicians rebuked the concept. It stems from the remarkable discovery that some properties of sub-atomic particles cannot be measured simultaneously, for example position and momentum: only probabilities can be assigned. But if such concepts send your head into a spin, do not worry. Richard Feynman, one of the recent greats at popularising science, said "I think I can safely say that nobody understands quantum mechanics" and "Nobody knows how it can be like that." Even Einstein, during the 1950s, made an unsuccessful attempt to refute the accepted interpretation of quantum mechanics. Such revolutionary mathematical thinking, spawning ideas that truly shake up the world of science and mathematics, are rare, and this is one sign of a truly remarkable mind. The field of quantum mechanics is probably still in its infancy. Some think that the coming century is when this strange academic pursuit will find real applications: will there be super-fast quantum computers? What about quantum cryptography? The basic idea behind this possible revolution is that the very attempt to decipher a quantum code disturbs that code, bringing new levels of security to internet transactions. Because of these things, Schrödinger takes his place in the highest echelons of the great mathematical minds of the 20th century, but there was so much more to his life and work. His private life, for example, was intriguing and controversial. His tenure at Oxford University was cut short because, at that time, he was living with two women. Like his friend Einstein (and like many other notable mathematicians), Schrödinger was a deeply political man. He took a strong stance against the anti-semitism going on in Germany during the 1930s and eventually emigrated. There is a huge Schrödinger crater, on the far side of the Moon named after him. Schrödinger died of tuberculosis in Vienna on 4 January 1961, at the age of 73. He left a widow, Anny (Annemarie Bertel), and was buried in Alpbach, Austria.